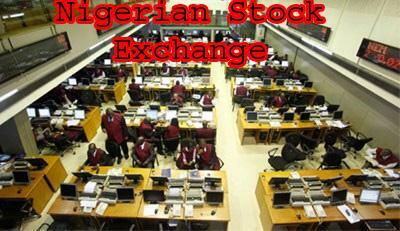 Investors’ sentiment on the Nigerian Stock Exchange, NSE Tuesday remained positive with 46 stocks on the gainers chart as against 16 stocks that declined. The top performing stocks were First Bank Nigeria Holding, FBNH gaining 10.2 percent or N1.19 per share to close at N12.85 per share, followed by Sterling Bank Plc, which rose by 10 percent or 20 kobo per share to close at N2.20 per share. Diamond Bank Plc up by 10 percent or 26 kobo per share to close at N2.87 per share, Transcorp gained 9.95 percent or 21 kobo per share to close at N2.32 per share and Wema Bank Plc rose by 9.76 percent or 8 kobo per share to close at 90 kobo per share. Conversely, Honeywell Flour Mills Plc led the losers chart, dropping by six percent or 21 kobo per share to close at N3.30 per share. It was followed by Law Union Insurance which declined by 4.5 percent or 4 kobo per share to close at 84 kobo per share , while NPF Microfinance Bank Plc which nosedived by 4.2 percent or 7 kobo per share closed at N1.60 per share . AG Leventis Plc depreciated by 4 percent or 3 kobo per share to close at N72 kobo per share and Wapic Insurance Plc dropped by 3.64 percent or 2 kobo per share to close at 53 kobo per share. The post Nigerian Stock Exchange: FBNH, Sterling Bank top 46 stocks on gainers’ chart appeared first on Vanguard News.